The telly that’ll have you tweeting. Adam Hills, Alan Carr and Maya Jama host a star-studded night of fundraising. Joining them are a raft of famous faces, all coming together to raise funds for vital cancer research. 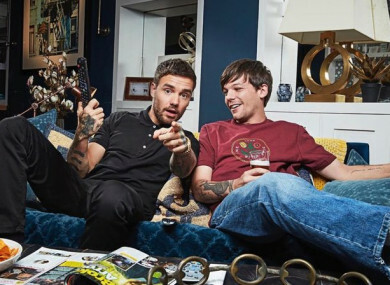 Celebrity Gogglebox returns with stars including Danny and Dani Dyer, Dele Alli and Eric Dier, and Peter Crouch and Abbey Clancy; Michael Bublé and James Corden star in Carpool Karaoke for SU2C, and there are sketches, appearances and performances from a host of names including John Legend, Liam Gallagher, Little Mix, Gareth Southgate, The Muppets, Jack Whitehall, Stephen Merchant, Gary Lineker, Sharon Horgan, Matthew McConaughey, Jon Hamm, Davina McCall, David Mitchell, Kate Beckinsale, Jamie Oliver, Tom Walker, Backstreet Boys and many more. Plus, Chris O’Dowd and Katherine Ryan are on hand all night to explain the science funded by SU2C. Channel 4 News is airing on More4 this evening. A signed simulcast of Stand Up to Cancer is airing on 4seven. The host welcomes Eddie Redmayne and Jude Law, who talk about Fantastic Beasts: The Crimes of Grindelwald, the latest Harry Potter prequel, which is released on November 16. Joining them on the sofa are Melissa McCarthy, promoting upcoming comedy drama Can You Ever Forgive Me?, Oscar-winner Emma Stone and singer Rick Astley, who also performs his latest single Try. Plus, Graham introduces another bunch of intrepid audience members who are willing to recount an anecdote from the dreaded red chair. Ryan Tubridy hosts the light entertainment show, featuring a mix of celebrity guests, music, in-depth interviews and discussions on the stories that have the nation talking. This week, Tubs chats to historian Catherine Coreless, comedian Des Bishop with music from Gavin James and Bell X1. Lovely. Prepare to binge – the new spooky series has just landed on Netflix, and critics have pretty good things to say about it so far. TVLine called it a “total escape” while The AV Club said it should have fans “charmed”. The Mash Report (BBC Two, 10.00pm) Nish Kumar and a cast of comedy correspondents present the satirical and surreal take on the week’s news. Mortdecai (RTÉ Two, 9.45pm) Crime comedy, starring Johnny Depp, Gwyneth Paltrow and Ewan McGregor. The 2000s – The Platinum Age of Television (Sky Arts, 9.00pm) Documentary examining the cultural and political milestones of the decade, beginning with a look at its groundbreaking TV shows, including The Sopranos and Breaking Bad.